99% isn’t good enough! The cable industry is changing rapidly, with consumers increasingly demanding greater capacity so that they can download and stream video entertainment and adopt new cloud-based services. In order to deliver the increased capacity per subscriber, it is vital to keep out moisture and maintain the drop plant to insure optimal signal transmission. The plant and connectors must be tight to keep signal levels within the range for the customer premises equipment (CPE), while automated testing catches many issues early in the installation process. It’s the craft errors and the intermittent issues that create havoc. These pressures are only going to increase. DOCSIS 3.1 requires even more stringent efforts to produce a flawless drop plant and new technology leaps. Ultra HD and MoCA will also raise the performance threshold of service delivery. So how can we guard against issues such as digital pixilation and slow/no data speed - the two largest reasons those subscribers call the service desk? The first place to start is to look at the humble drop connector. While it may seem like a small part of the overall deployment, drop connectors make up 85% of the total network components by volume, so installation issues will have a big impact on the customer experience. Our own research with 50,000 technicians found that problems such as moisture, no port seal or connectors not tightened on the port were the top three reasons for connector failures – all of which tie back to installation problems. The correct tools make all the difference. For a proper installation you need linesman pliers, a FIXED blade prep tool preferably with a stop, a compression tool that is calibrated for the connector and a torque wrench for outdoor connection tightening. 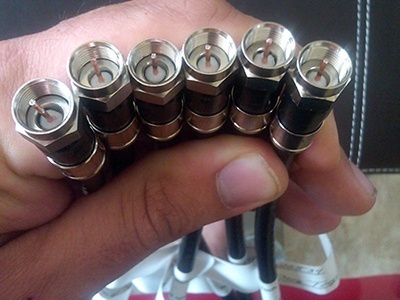 The proper prep is critical to ensure a long life installation and to make installing the connector onto the coax simple and easy. Adjustable blade tools tend to go out of adjustment and blades become dull, so check them frequently. The typical installation technician will reach the end of the blade life in a prep tool within 6-9 months, yet they are typically replaced long after the life of the blade. Could we be installing service calls? When installing cable it is vital that it isn’t kinked beyond the recommended bend radius as this will affect the signal. Never leave cable ends exposed to the outside environment, as that will allow moisture (the number one cause of failures) to wick into the cable. Can moisture "wick" over 100' uphill defying gravity? It does. Ensure that you cut the braid, dielectric and center conductor to the proper lengths – ¼ inch for each of them. This is much easier when using the correct prep tool as all these dimensions are set automatically. Loose connector - one of the top reasons for failure of advanced services such as digital voice and high speed data. Dielectric too short or too long - leading to intermittent connections. Damaged dielectric, out of round. Center connector too short or too long - leading to intermittent signal problems that are hard to track down. Adhesive on the center conductor - which blocks the contact and causes intermittent failures. Scored center conductor - normally caused by using the wrong tools. Center conductor not clear of foil - meaning they touch and cause a short. Center conductor not clear of braid - again, likely to cause a short. Incorrect braid length (often too short), and the braid not correctly folded back. Incorrectly installed port seal or no port seal - leading to moisture entering the cable. When it comes to installing broadband service, it is vital to remember that small mistakes have large consequences further down the line, leading to increased service calls, unhappy customers and greater costs. 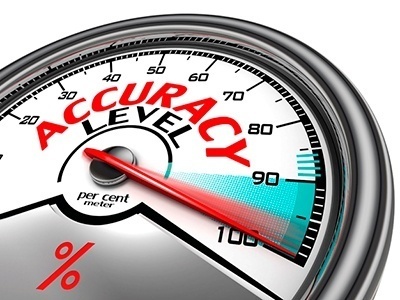 A 1% error rate equates to a costly service call. So make sure you focus on getting it right first time when installing drop connectors and you’ll prevent future failures and ensure a reliable, trouble-free deployment. Proper installation the first time results in service call reductions and repeat service call reductions that are key to preserving the customer base and the high quality of experience for the subscribers.